Interest and experience in multiculturalism, social justice, and working with diverse student populations. 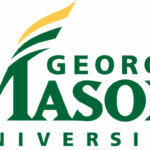 For full consideration, applicants must apply for position number FA11EZ at http://jobs.gmu.edu/; complete and submit the online application; and upload a cover letter that identifies your interest and qualifications for this position, a resume/CV, and a list of three professional references with contact information. This position will remain open until filled. For questions, candidates may contact Nina Joshi, Office Manager, at 703-993-2380.